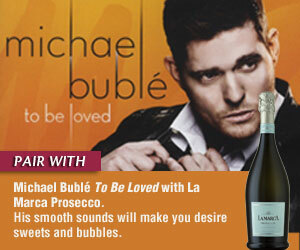 Michael Buble’s voice makes me smile and desire sweets and bubbles and fancy dresses and long gloves. I can almost hear the scratch of a needle on a spinning record with his crooning, smooth voice and upbeat style. He has a voice with old soul. True to form, his newest album To Be Loved (April 2013) is comprised of ten covers, Frank Sinatra, of course, a little Elvis, some Motown and even the Bee Gees “To Love Somebody.” Bublé composed four originals with his usual collaborators Alan Chang, Amy Foster Giles and Jann Arden and one song with fellow Canadian Bryan Adams who also sings on “After All.” Apparently, the first album Bublé ever bought was “Reckless” in 1985 by Bryan Adams. “He was such a big hero of mine and still is,” says Bublé. A few other artists make appearances on the album, including Naturally 7 on “Have I Told You Lately That I Love You,” the Puppini Sisters on “Nevertheless,” and even actress Reese Witherspoon on “Something Stupid.” Naturally 7, a unique acapella group, and the Puppini sisters with their swing-pop sound add tremendously to Bublé’s album, creating multiple layers of sweet harmony that are in keeping with Bublé’s throwback style. I was less impressed by Witherspoon’s contribution. Made famous by Frank and Nancy Sinatra, on “Something Stupid” Witherspoon sounds like she is aping Nancy rather than bringing something new and interesting. Also to be skipped is Bublé’s version of Randy Newman’s song “You’ve Got a Friend in Me” unless you want images of Toy Story dancing through your head. Save that for the kid’s version and serve it with sparkling cider. Otherwise, this is an album to have on repeat. 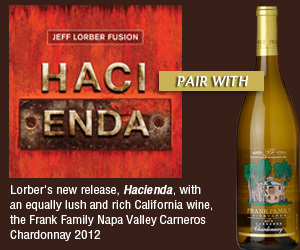 After listening to the CD a couple of times, I found myself craving La Marca Prosecco (90 points from Wine Spectator). It is bubbly, light, crisp and refreshing. And I am quite confident that I sound even better belting out my favorite song from the CD, “Who’s Loving You” after a glass or two.